We have not done a Photo Special for a while so I thought its about time we had a look back at the local scene with a few images from my own collection. 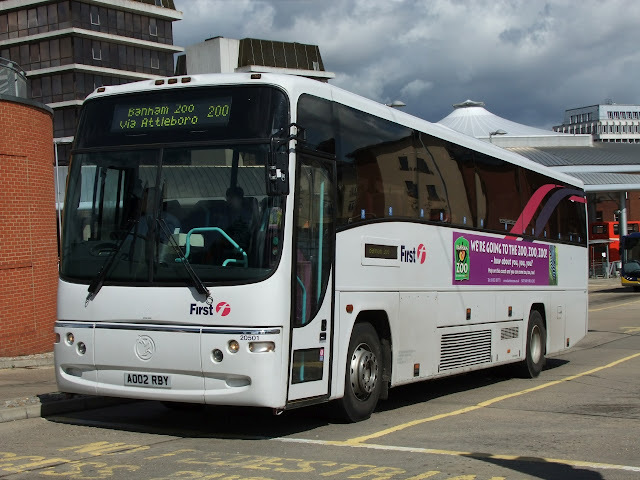 We go back to August 2010 and a bright day in Norwich. 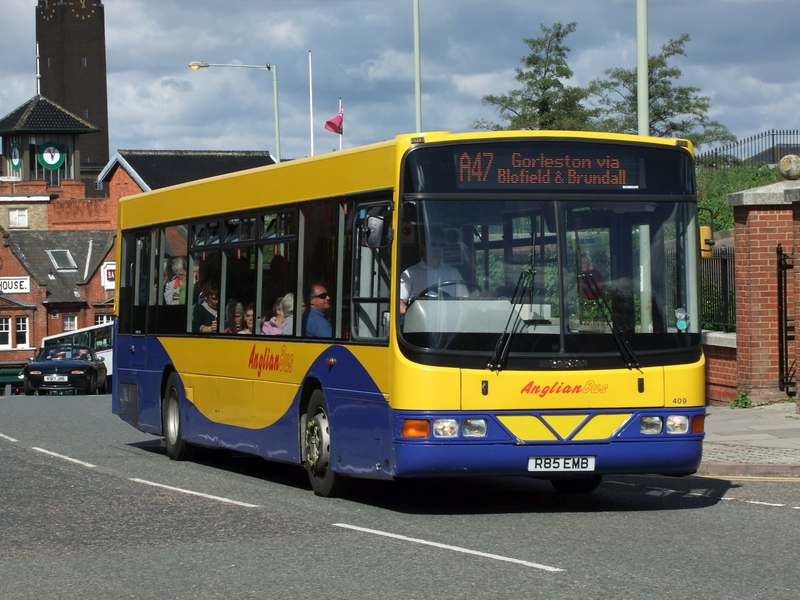 Improvements to Castle Meadow meant the buses were being diverted round the top of the Castle and down on to Market Avenue. First photo ironically shows the now defunct Anglianbus A47 service that ran between Yarmouth and Gorleston, it was set up to run against First's X1, Former Chester Volvo R85EMB is seen at the top of Castle Meadow. Next up sees First Coach 20501 AO02RBY about to leave Norwich Bus Station working a short lived service to Banham Zoo, the coach was loaned back to FEC from First Essex to work the service that summer. 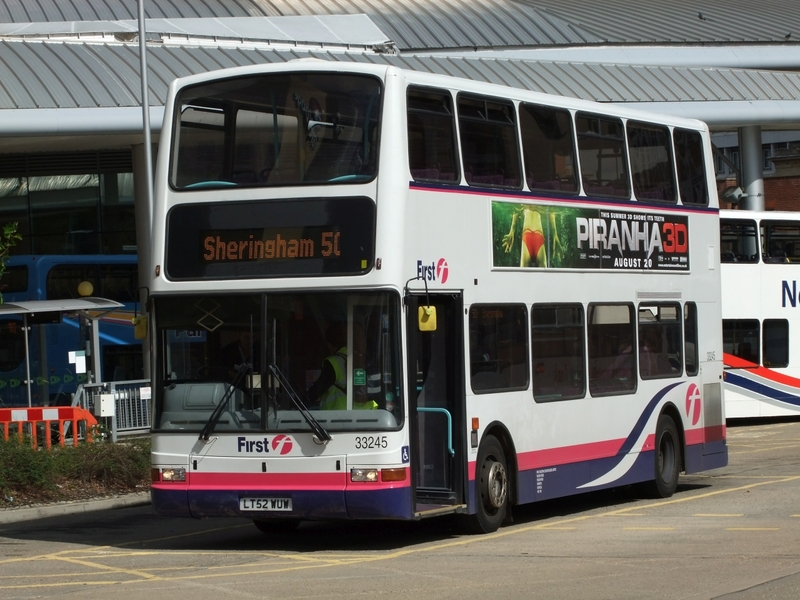 Another service no longer in use is the 50 service to Sheringham, a real mixture of vehicles was used by First including Coaches and Single Decks, this particular Saturday saw recent arrival from First London 33245 LT52WUW in use and seen laying over at the Bus Station. Final picture is Simonds Of Botesdale Volvo B6 224ENG which was originally L91UNG and new to Ambassador Travel for the Norwich Park & Ride services they once operated. 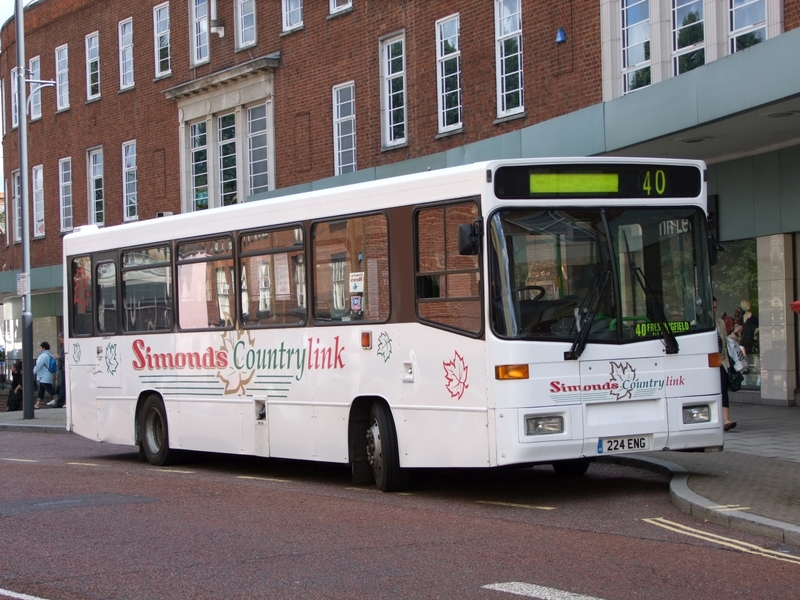 It is seen here outside Bonds about to work the 40 service to Fressingfield.